Michael Bittman is board certified as a specialist in Health Law. 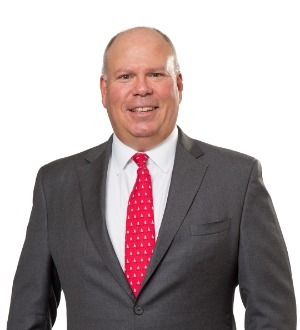 He has experience representing clients in the healthcare industry, including hospitals, nursing homes, managed care companies, pharmacies, medical equipment suppliers, home health agencies, and physicians. He has been lead trial counsel in a number of federal, state, and administrative health law cases and represents clients in healthcare fraud investigations, qui tam or whistleblower cases, contract disputes, health insurance claims, malpractice, and medical staff disputes. He has also handled fraud and reimbursement cases involving millions of dollars in Medicare and Medicaid funds.In addition to his litigation experience, Mr. Bittman has served as outside general counsel for hospitals and other healthcare entities and represents parties in healthcare transactions, including the drafting of purchase and sale contracts, leases, management agreements, letters of intent, and other documents.He is well versed in federal and state fraud and abuse laws and provides advice and recommendations to clients regarding their compliance and risk reduction.Mr. Bittman is a frequent presenter on issues related to health law, such as false claims, Medicare and Medicaid, health facility operations, governance, medical records, health insurance, ERISA, managed care liability, peer review, and fraud and abuse.